This compound word worksheet is modified from the middle school vocabulary curriculum. It is excellent for special education students who require an alternate or modified curriculum. There is one example at the top of the page to show students what to do. There are four compound words and students must write the two words that make up that compound word. 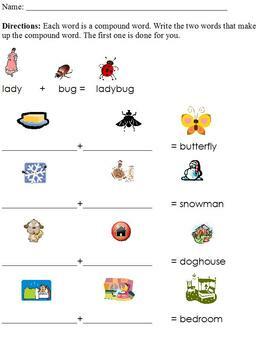 Each word has a picture clue to assist students. These are all words that should be familiar to children.